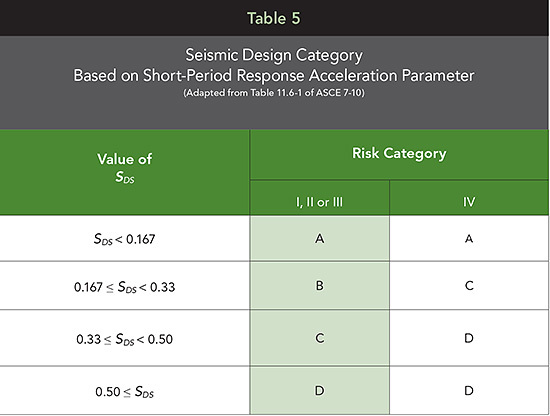 Higher performance for critical and essential facilities is accomplished, in part, by designing for higher forces associated with application of the Risk Category Importance Factor and more stringent drift criteria (mentioned previously). It is also achieved through requirements for bracing of nonstructural components within the building. Examples include bracing of fire sprinkler lines, gas supply lines, critical equipment, egress stairways and any other component needed for continued operation of a Risk Category IV structure. While requirements for bracing of nonstructural components are the most extensive for Risk Category IV buildings, they are also applicable in varying degrees to other structures based on factors such as seismic design category, structure type and weight, and importance factor assigned to the component. Years of research and building code development have proven that wood-frame buildings can be designed to meet or exceed the most demanding earthquake requirements. As discussed in this course, wood buildings offer a number of advantages that contribute to their relative good performance in seismic events. Among other things, they tend to be lightweight, reducing seismic forces (which are proportional to weight). Multiple nailed connections in framing members, shear walls and diaphragms offer ductility, meaning they have the ability to yield and displace without sudden brittle fracture. Repetitive members and multiple connections create redundant load paths, which effectively transfer lateral loads. And, when structural panels such as plywood or oriented strand board are properly attached to lumber floor, roof and wall framing, the resulting diaphragms and shear walls offer exceptional seismic force resistance. For more information on code conforming wood design, please visit www.awc.org.